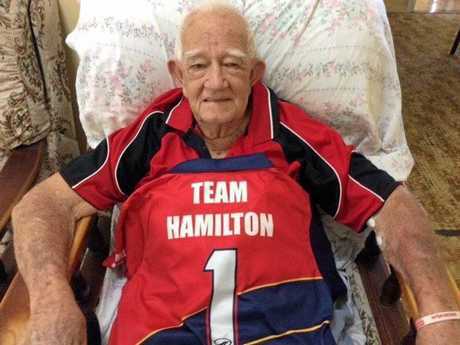 HOCKEY: Team Hamilton players have overcome all manner of ailments to win the A3 men's premiership and pay the ultimate tribute to their beloved club patron, Col Hamilton. 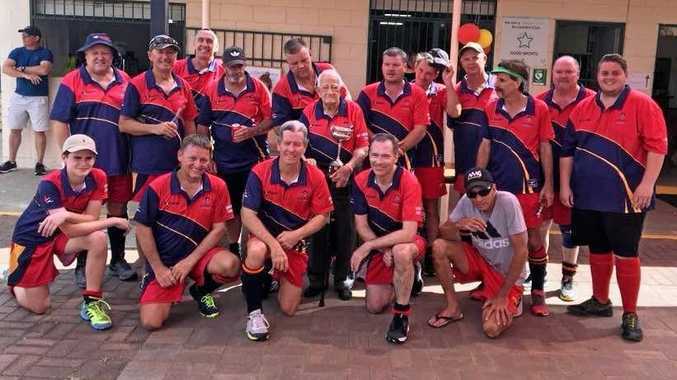 The experienced outfit capped off their one-season-only appearance in the Rockhampton Hockey competition with a win over club mates, Park Avenue Brothers Red, in Saturday's grand final. Michael Assay slotted the only goal of the game to seal a special victory for Team Hamilton and its many supporters. Grant Goltz, who jokingly describes himself as Team Hamilton CEO, said it was an emotional victory for everyone involved. Dylan Quinlan is the youngest member at 15; the average age of the rest of the team is 50. Goltz said just what the team meant to the players was illustrated on Saturday, with many of them shrugging off injury and one an attack of gout to take the field. Kevin Temperley, the oldest member at age 59, even postponed a hernia operation to play. The team was named after 88-year-old Col Hamilton, the Park Avenue Brothers Hockey Club patron and Rockhampton Hockey life member. Hamilton has been involved with hockey for decades and received an Order of Australia Medal in 2014 for his charity and volunteer work. Goltz said the idea was born on a fishing trip to Stanage Bay about 12 months ago. 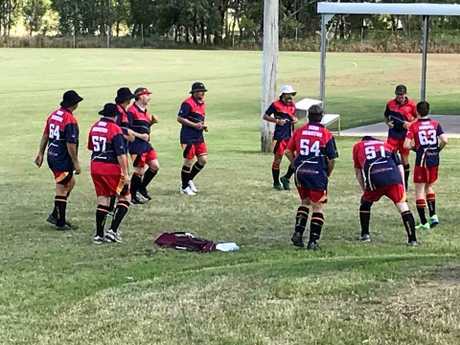 "I thought it would be good to get a team of some of the older blokes together who have played together since we were six,” he said. "We decided we would play for one year as Team Hamilton as a mark of honour and respect for Mr Hamilton, who has devoted so many years to hockey. Goltz said that Team Hamilton did what it set out to do in 2018. The players delighted Mr Hamilton with the premiership win and also raised more than $4400 for Beyond Blue. Team Hamilton dropped just three games on the way to claiming the special round trophy, the minor premiership and the big one. Goltz said they "toughed it out” for a good win in the final and it was a real team effort. "It was great to get there in the end and a lot of fellas were pretty relieved when that final hooter went. "It was a bit emotional and I actually got a bit teary. "Mr Hamilton was there to see us win and he went up and collected a couple of our trophies. "He's a true gentleman and it's just wonderful that we could recognise him this way. 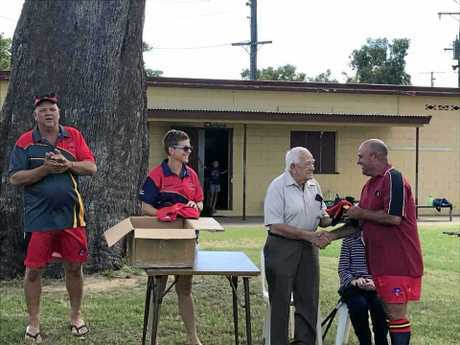 Bevan Long was presented with the Mate of the Year award, the team's equivalent of best and fairest, and received a hockey stick and ball signed by Rockhampton's hockey champion Mark Knowles. Goltz was grateful for the support from Taurus Accounting, CQ Podiatry, Footwear For Life, Just Hockey Rockhampton, Reece Plumbing Supplies, NG Engraving, Mitre 10, Smith's Service Station (Glenmore Rd), Kev Brown's Butchery, Grant Goltz Plumbing, GJ Gardner Homes Yeppoon and KB Trusses.